I’m taking a three month break from writing to recharge (I can’t promise this will improve what I produce when I get back) so obviously I had to send myself off in a way that would annoy Corey. 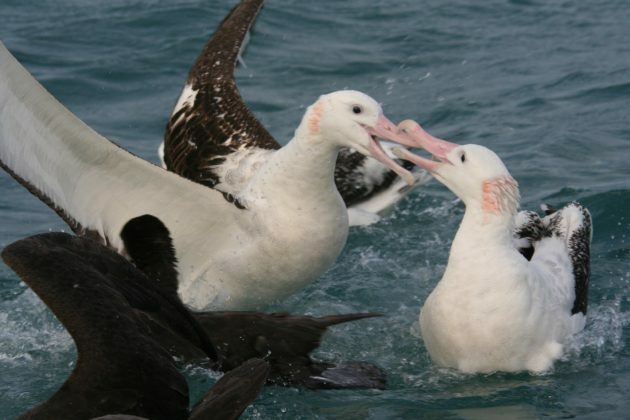 So here’s some Antipodean Albatrosses! I’ve always planned to do a post on this species and always been scared that I’ll probably get some of the pictures wrong. 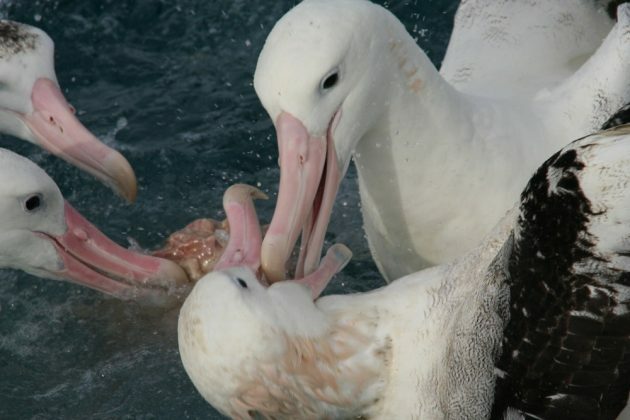 The taxonomy of the bigger albatrosses, known as great albatrosses, is tricky. 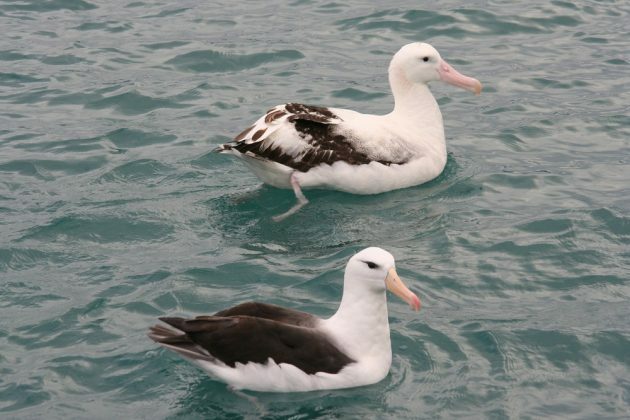 What were three species, Royal Albatross, Wandering Albatross and Amsterdam Albatross, are now seven. 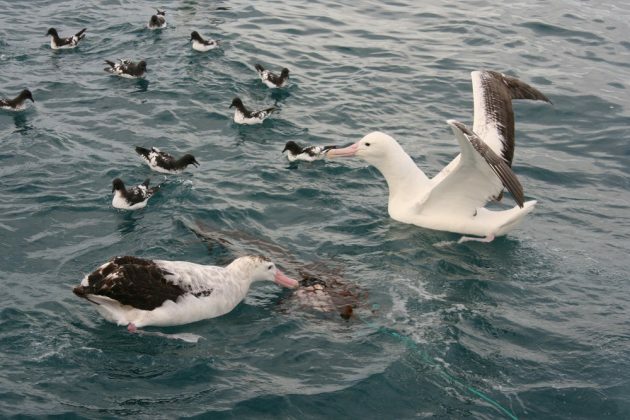 The Royal has been split into the Southern and Northern, and the Wandering into the Tristan Albatross, Antipodean Albatross and Wandering Albatross (with the Amsterdam Albatross these are often referred to as wandering albatrosses, lower case). 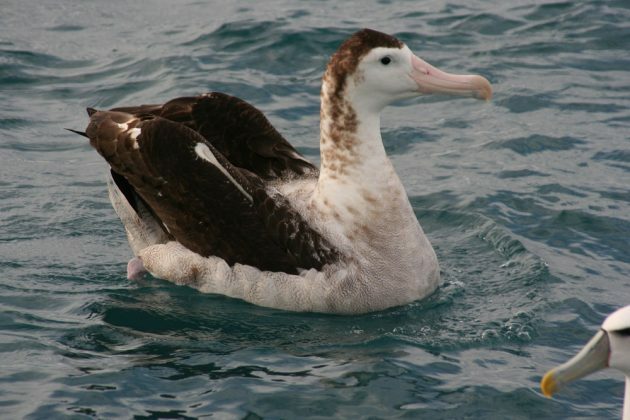 Tristan Albatrosses are an Atlantic species that I am not aware have made it to New Zealand, but Wandering Albatross do turn up here on occasion. 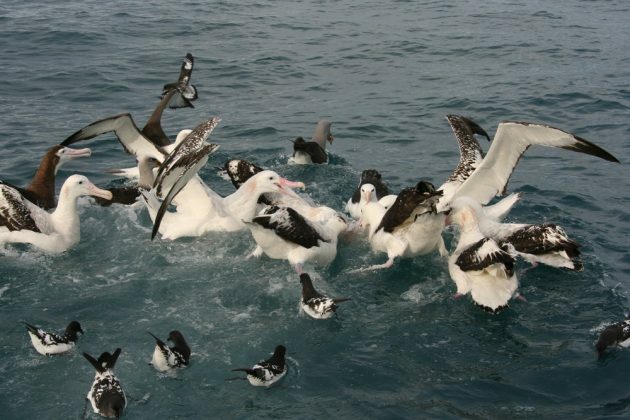 Probably more often than is realised, but it is easier to split adults that young birds. 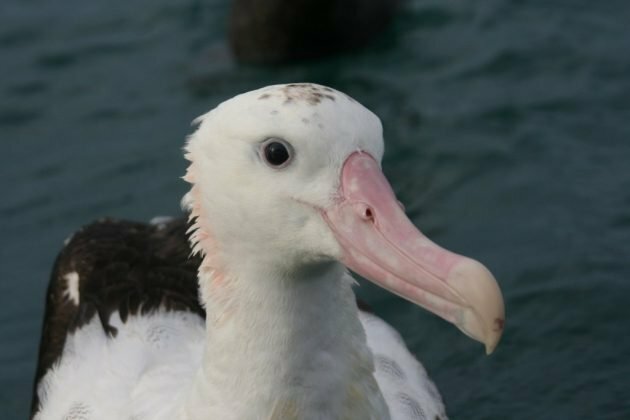 The Antipodean Albatross breeds in New Zealand and is an extremely common species off Kaikoura, South Island. 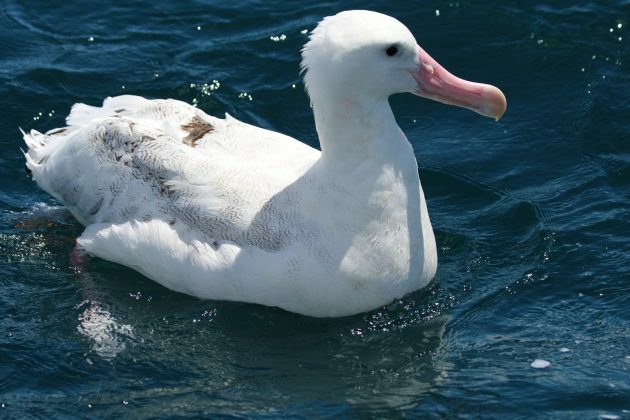 But smaller than a royal (Southern Royal Albatross in this case, going by the wings). They don’t get this white though. 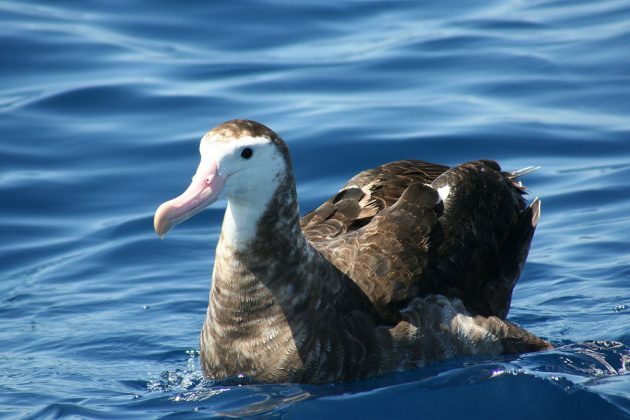 This is a true Wandering Albatross. 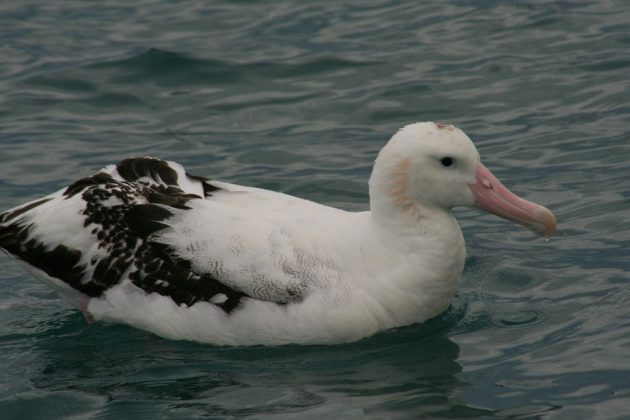 So let’s hear it for the lovely Antipodean Albatross, and see you in three months! 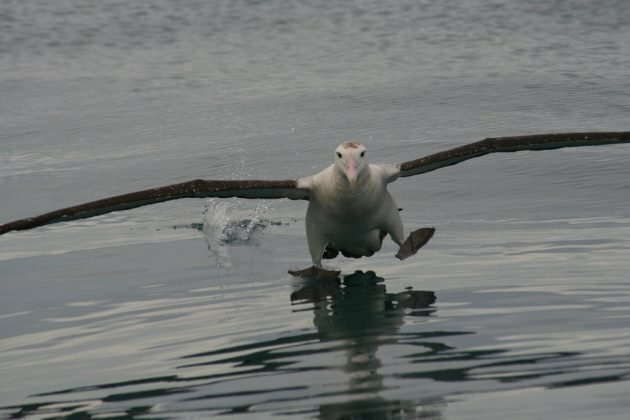 Amazing photos, and magnificent birds!